The Blastrac BDC-3140LPP is designed for uninterrupted operation on the toughest jobs. The Blastrac BDC-3140LPP is equipped with a Longopac bagging system, which is easy to mount and handle. Thanks to this system, the operators have no more contact with the dust in their direct vicinity. 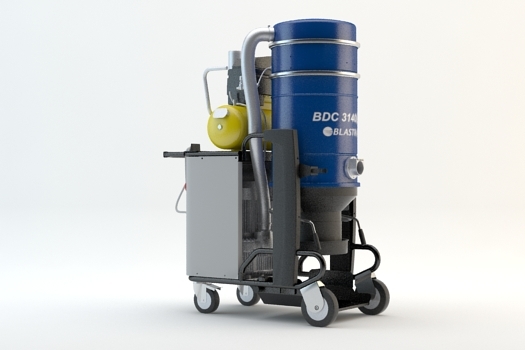 The Blastrac BDC-3140LPP dust collection system is standard equipped with a M-class cartridge filter or optional H-class filter and it is very versatile.